Traditionally, managing contracts was a byproduct for lawyers. The real money was in drafting new or reviewing existing ones. Not anymore and here’s why. Our society is glued together by agreements. Contracts are the engine of our economy. At the top we have treaties and at the lowest level, we use courtesy. In between these levels, we have thick layers of agreements drafted by legal professionals. Ranging from the simple employment contracts to the endless user agreements we all click thru. The more money is at stake, the more intricate the contracts become and the harder they are to manage. Understanding contracts and their financial impact are vital to any successful enterprise. Most company revenues depend on having signed contracts with their customers. Likewise, the value of a company is measured by the signed agreements with the correct stakeholders. Therefore, two essential economic elements are the text in the agreement and the signature of the parties. While the text part sat comfortably in the realm of the lawyers, the signature section provided an opening for everyone to storm the gates. 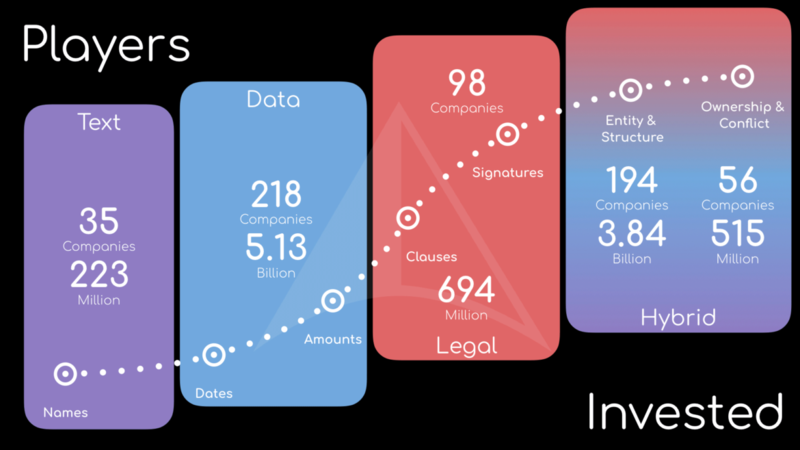 We previously discussed the DocuSign IPO and Dropbox acquisition of Hellosign in the larger context of LegalTech. Better yet, even Apple demoed their eSign solution on stage back in July 2017. However, there are more pathways into this universe of contracts and these are provided by the text sections. More precisely: the facts and figures parts of a contract like names, dates, and amounts can be fed to a machine. New entrants armed with machine learning skillset are now able to fire at this fortress for lawyers called contract. These new players in the contract management space can also draw on great entrepreneurial skills. They position themselves more attractively as a Google for your enterprise and appeal to a broader market. This enables them to raise a war chest of capital. https://t.co/EpkO9ToMeo raises $8.4M to build AI for the workplace. Managing your contract has now become this juicy add-on for any text or data analytics company in the world. Any data point which can harm your enterprise is a risk to be analyzed with SmartTech. So after millennia of dominating contracts, attorneys may have to capitulate to machines on reviewing and managing them. Now once we took this lens and calibrated it to find contract management solutions, we discovered these dormant LegalTech companies. We started looking at these creatures in May 2018 and revealed the first draft landscape in December. 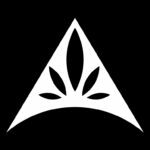 Like Jane.ai, their ammunition is hidden in mission statements, product descriptions, use cases or customer testimonials. If we round them up and calculate their collective investment capital, you see the numbers in the image below. We mentioned the battle-harden gladiators from the Sales (Quote to Cash) and Customer Relations Management (CRM) arena in the Exits analysis. 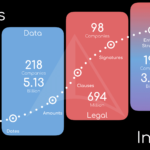 Now every Cloud Storage, Document Management or Machine Learning solution looking for a problem will have a peek at contracts. It will get tougher to explain to an engineer that a contract is not a math problem. Especially when lawyers created endless fields of text for a machine to mine. In the end, this should not be collision but a collaboration between industries. For the sake of a safe society, having more clarity in contracts would be beneficial to everyone. Especially when you realize that this legacy mechanism of a contract in text is in a race against a smarter competitor on Blockchain. We recently presented a Masterclass at the Rotterdam School of Management, Erasmus University (RSM), and while preparing I had a couple of insights. As with Artificial Intelligence*, I mostly shied away from the “Big Data” discussion because I felt it was engulfed by Inflated Expectations. Without the right tools to visualize it, more data only provides more problems. Big Data is now all grown up and the evidence is in the apps. Our presentation was part of an Executive Education program called “Leadership Challenges with Big Data” and sandwiched between all the professors presenting were Peter & I. 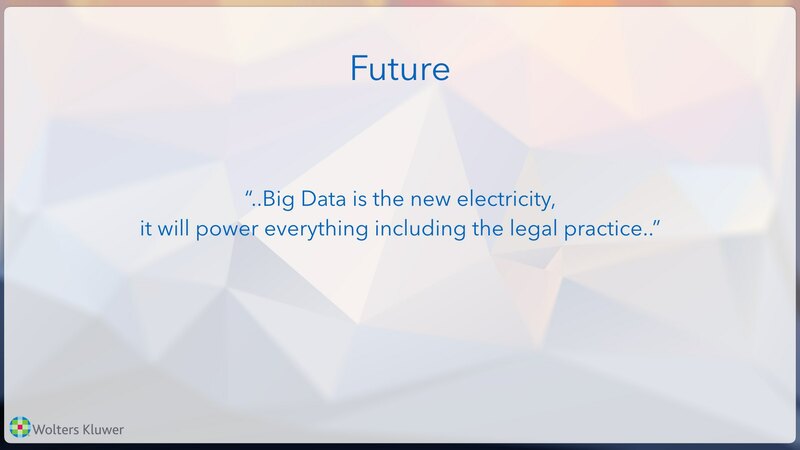 Since we only had 45 minutes and were the last act before lunch, we decided to stick to real-world examples to explain the impact of Big Data on the legal sector. While compiling these examples, I was amazed by not only the variety of ways (text recognition or sentiments analysis) but also the variety of data that can solve legal problems. Not only legal matter like legislation or jurisprudence but also non-legal matter such as news, time & billing, court records, and insurance data. Even social media and location data are valuable in helping to decide a legal course of action. There is this slight difference between tools for the business of law and the practice of law. In the practice of law, data analytics and visualization play an important role in predicting outcomes or explaining complexities. 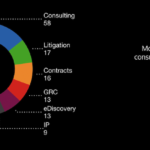 Legal forces, such as conflicts or compliance, are fueling these tools. At the business end, companies are faced with market forces like costs, customers, and competitors. This requires different apps that support efficiencies and consistency…by way of automation, not just answers. Case in point: this paper states that the global financial meltdown was the result of failures in contracts. Now if a systemic use of faulty contracts can bring down the entire global economy, it can also take down your company. One way to prevent this is by designing and automating smart contracts to the point that law becomes invisible. Hearing the other speakers in the program talk about the impact of data on their sector made us all realize: data sits at the heart of every industry. Data powers most decisions like electricity powers most tools. Without the support of data, one feels like a kite in a storm. In the past, we could get by on software without data. One could fire up an empty word document and start drafting. Now, software platforms infused with Machine Intelligence* are connected to devices and sensors not only generate but also consume data. It means apps come pre-build with data and intelligence providing us with super powers at a push of a button: Look Ma, no drafting! ..and with great powers comes some bewilderment. * I prefer the term Robolaw because legal doesn’t require (even simple) AI to solve itself. Legal is 80% illogical reasoning that will be fixed by automation and 20% emotion that should be ignored by robots.